Hydraulic Hose Fittings, Couplings, Abbeyhose, Grays, Essex..
Abbey Hose was formed in 1982, opening in Barking, Essex. Originally supplying hydraulic hose assemblies, couplings , tube fittings and allied products . The company grew rapidly and gained a reputation for quality products and fast friendly service . Abbey Hose were appointed Certified Distributors for Parker Hannifin in 1995. We specialise in the supply of hydraulic and industrial hose assemblies via our ParkerStore in Grays, near Lakeside Shopping Centre and through our Hose Doctor 24/7 Mobile Hose Replacement Service offering a one hour response Nation-wide. Abbey is one of the leading hydraulic hose suppliers in the UK. Abbey Hose has over 33 years of experience supplying the Plant, Manufacturing, Rail, Defence, Utilities and Tunnelling industries with a wide range of Hydraulic and Pneumatic products and services in addition to an exhaustive array of General Engineering products which are available from our on-line shop or catalogue. We can supply next day service Nationally and export to many countries around the world. Our ParkerStore stocks thousands of Pneumatic, Hydraulic and engineering products with a counter hose assemblies for any application including automotive. We have first-class workshop facilities and can supply bespoke hose assemblies on a while-you-wait basis or despatched to anywhere in the UK for next day delivery. We also stock the full Thor catalogue, click here for Thor Industrial Hose. 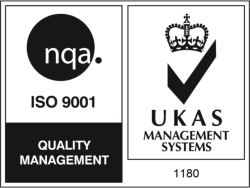 Abbey are ISO9001:2000 accredited. We stock a wide range of products including hydraulic filters, clamps, industrial hose, steel tube and fittings, oil, valves, pumps, motors, pneumatic fittings and valves. 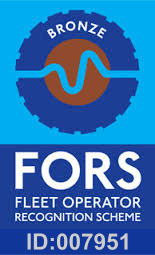 We have a Hydraulic and Pneumatic Technical Manager on our team able to specify system design, diagnose faults and controls our hydraulic cylinder repair service.